love signage to help people see where to go and what to look at. This was a 2 part sign of which 1/2 got destroyed. 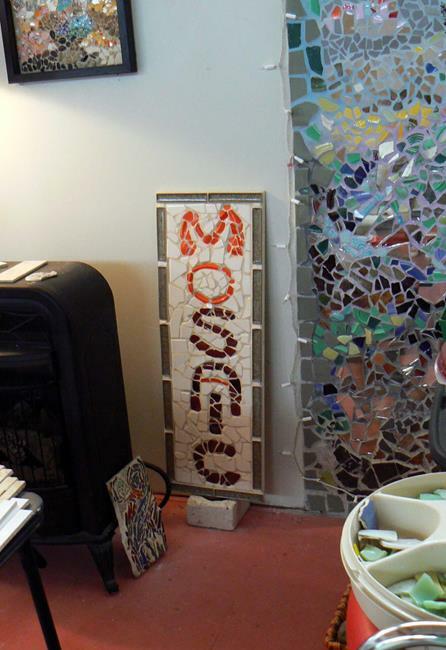 So I think I'll make the same styles saying ART so they will read Mosaic Art.